Grab a hold of some dumbbells and don't let go! You're gonna use them throughout the entire workout so hold on, buddy. 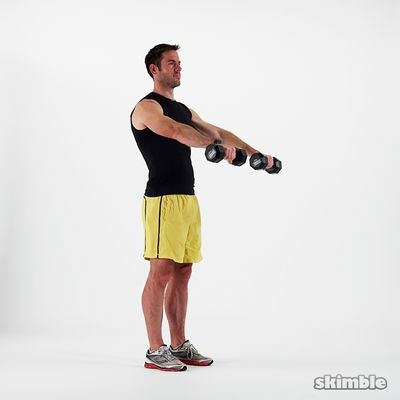 Start with 5lbs dumbbells if you're new to strength training. If you don't have dumbbells, improvise with two cans of soup!